During the 17th, 18th and 19th centuries there was extensive walrus and whale hunting on Svalbard. Since nothing decays fast in dry Arctic climate, the bones in the slaughtering sites are still to be seen. Those sites are protected (cultural sites). 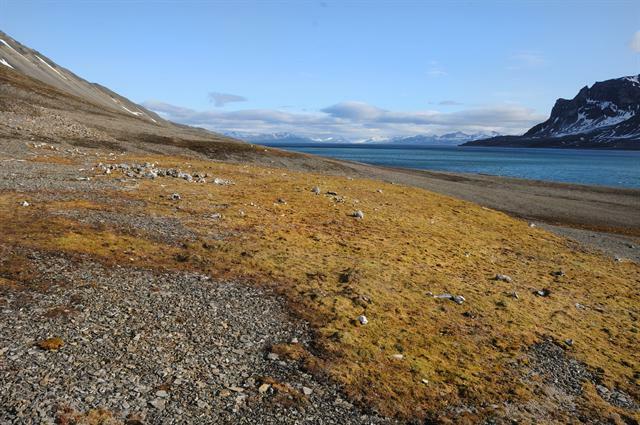 There is a rich moss vegetation around those sites (nutrients from the slaughtering), otherwise the land is barren.